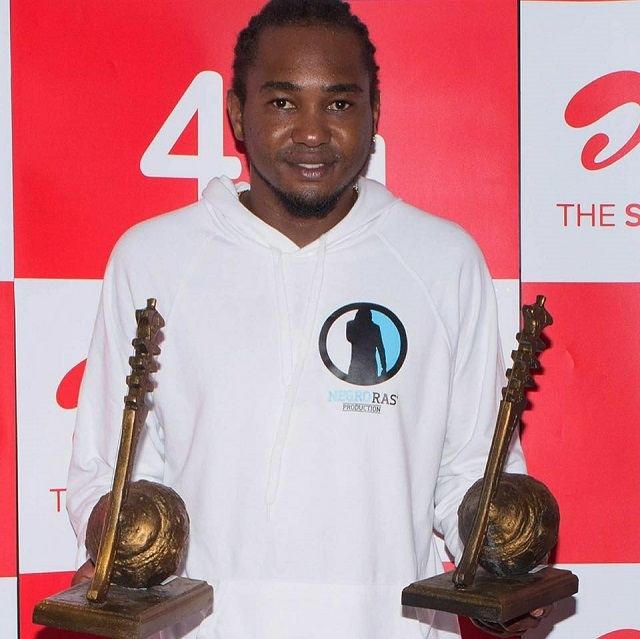 (Seychelles News Agency) - Seychellois artist Mercenary clinched two awards at the Airtel Music Awards ceremony on Friday June 1st -- Best Male Artist and Best Song. Mercenary, born Vincent Denis Eliza, started singing in his teenage years with the support of his brother, also a renown local artist, Elijah. SNA caught up with Mercenary to learn more about an artist who has become a household name in Seychelles, an archipelago in the western Indian Ocean. SNA: Tell us how you started singing? 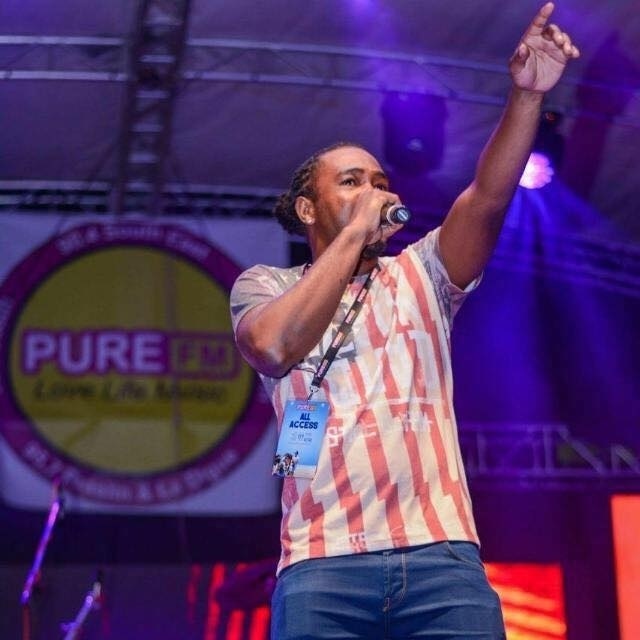 Mercenary: I was first introduced to a music studio for the first time by well-known local artist Jarimba to collaborate in a song that featured on the ‘Raggablastaz’ album. I then joined a group called ‘Fraka crew’, did some collaborations with several artists and launched my first album along with Jakim (local artist) called ‘Red Gold and Green Soldiers’. SNA: Would you say that singing is your career? Mercenary: Yes, it’s my career, because since I started in 2006, I’ve never taken any other career. There were ups and downs but I stuck with my music. There are a lot of problems in the music industry in Seychelles, but if you love something you have to be determined. Whatever hurdles come, you have to strive to overcome them and just never give up because if you don’t believe in your music no one else will. SNA: You sing in various genres. What is your preferred style? Mercenary: I guess it will be reggae-dancehall. But I am not scared to try other musical genres. Music is for everyone so I cannot stick with dancehall and expect someone who doesn’t like dancehall to understand. I have to find ways to connect with the public either with an R&B (Rhythm and Blues) or a zouk. I always think of my audience when I do music, then add a little bit of what I want. SNA: Your songs are mostly in Creole. Why? Mercenary: Creole is what makes my music original because reggae and dancehall originate from Jamaica, so in order to give it an original touch I sing in Creole. For me, it doesn’t make sense to struggle with singing in English because out there (internationally) there is a lot of competition. There are many singers who are way better than us and yet they are still not succeeding in the industry. My target is my Creole people. This is what makes me original. Tomorrow I can get the chance to represent my country with my Creole songs. On my last album, I have a song with Blakkayo from Mauritius ‘Par lao Jah’ (above Jah), he sings in his Mauritian Creole and I sing in mine. SNA: Did you expect to win in the Airtel music award? Mercenary: I didn’t have any expectations because my album came out late, December 2017. I don’t know the exact criteria for being nominated but when my name was mentioned as the winner, I was happy. It showed that my hard work has actually paid off. I expected an award for the 2018 ceremony because my album started making a serious impact early this year. 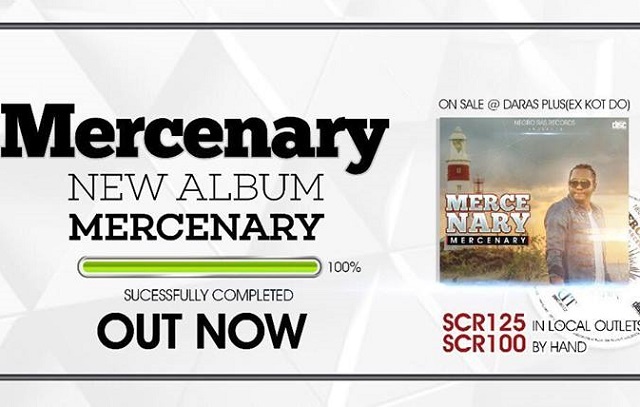 Mercenary: In this album, I wanted to show the variety of skills I have acquired. Where I started with positive and uplifting songs, then love songs and added what I want to do in future. I put all that in one package and it is being well received so far. It’s been so well received in a way I myself didn’t expect. I believed this album shows the development of my lyrics, singing style, melody and maturity. SNA: What's your view on digital music platforms? Mercenary: My music is being posted on digital formats such as iTunes and YouTube. I have someone -- Elvis Joubert -- who is responsible for these tasks for me. He is my main supporter and has helped me release a real album that is up to standards. I started going digital in 2010. SNA: What do you think it’s needed in the local music business to encourage local artists? Mercenary: I think artists should have patience in what they do. Don’t try to do things in a rush. Take one’s time to do it well. I would encourage artists to invest in themselves, don’t wait for someone to do things for you. If you want something in life, you have to go out there and get it. The National Arts Council (NAC) can help but I don’t take much from them apart for a training room. SNA: What would you advise people who want to be a singer? Mercenary: Someone who wants to be a singer, should come out with a positive message that will have an impact on everyone. Don’t do music only for yourself but for everyone and don’t expect success in a day, it’s a long journey. Remember not to ever give up. It should be about the passion, you can be popular today but years later you can’t do a thing to get back that popularity but the passion for it will keep you going.